Specifications:Extraction Column: Material Borosilicate Glass.Solvent Flow Measurement: Rota meter.Heater: Nichrome wire heaterTemperature Sensor: RTD PT-100 Type.Solvent Tank: Made of Stainless Steel, Capacity 30 Ltrs. Technical Specifications Extraction Column: Material Borosilicate Glass. - Solvent Flow Measurement: Rota meter. - Solvent Tank: Made of Stainless Steel, Capacity 30 Ltrs. Double wall. - Solvent circulation: Magnetic Pump made of Polypropylene to Circulate solvent. With immense market knowledge, we have been able to provide optimum quality Liquid Extractor. - Liquid extraction, sometimes called solvent extraction, is the separation of constituents of a liquid solution by contact with another insoluble liquid. The unit described here is for a semi-batch operation. Our organization has successfully expanded its business in market owing to the offered elevated quality range of Liquid Liquid Extractor. 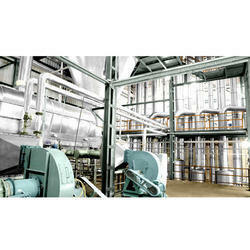 De Dietrich Process Systems India Pvt. Ltd.
For difficult separation problems such as liquids having virtually same boiling points, forming azeotropic mixtures or perhaps temperature sensitive, extraction offers economical solution. Offered in various specifications, we are engaged in offering a wide range of Liquid Liquid Extraction Unit. 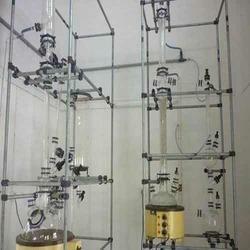 Liquid Liquid Extraction Unit is operated under moderate temperature for perfect extraction of liquid. This Liquid Liquid Extraction Unit can be avail from us at market leading price range. Liquid extraction, sometimes called solvent extraction, is the seperation of constituents of a liquid solution by contact with another insoluable liquid. The unit described here is for a semi - btach operation.